Fruit cracking in tomatoes can be a serious market problem, reducing profits. The causes of fruit cracking are varied and are subject to debate by researchers. Several factors have an effect on fruit cracking. This can range from splitting to skin russeting. Water uptake, humidity, temperature and soluble solids (sugars) as well as calcium nutrition and standing water on the fruit are thought to have roles in fruit cracking, along with genetics. Cultural practices can have an effect on fruit cracking. Water management, light levels and rate of fruit development can be affected by management practices. 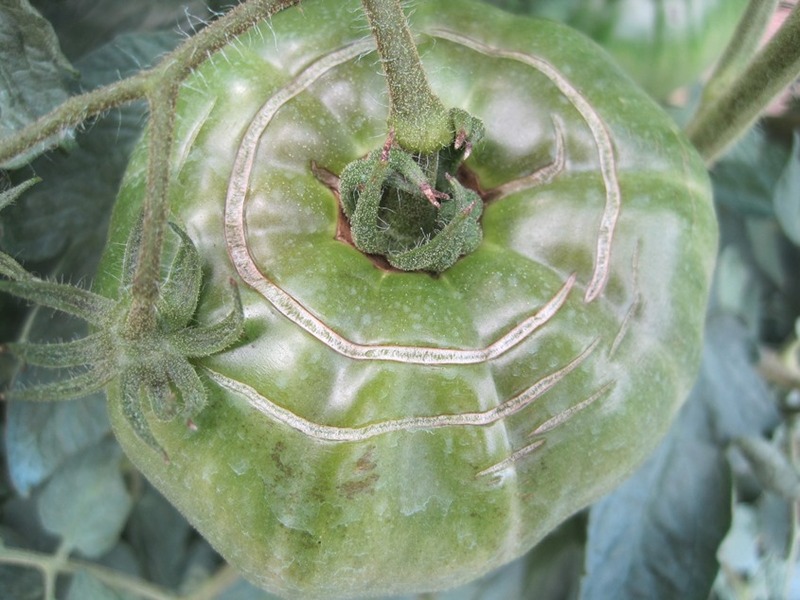 Greenhouse growers should be aware of potential problems with increased fruit cracking in tomatoes with some cultural practices. Increased light and fruit growth can occur when new plastic is put on or with topping to increase fruit size. Watering schedules may need to be modified to reduce cracking under those conditions. Irregular water uptake going from very dry to very wet plays a major role in fruit cracking. High temperatures also play a role. Irrigation can be used to modify both. Growers can increase the frequency of irrigation to prevent moisture extremes from developing under both field and greenhouse conditions. Overhead irrigation can also be timed to cool the crop in extreme conditions. High humidity and calcium nutrition are also associated with fruit cracking. Management practices must allow good transpiration rates as well as adequate calcium levels in the soil or fertilizer solution. 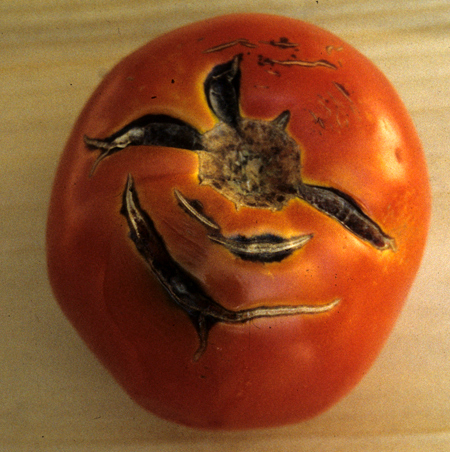 Likelihood of cracking increases if tomatoes are allowed to ripen on the plant. Below you will find additional information on managing this crop, including photos of insects and diseases in this crop, fact sheets, articles, and power point presentations, when available.